You don't want to come out looking like this! Is your bottom in need of some TLC this winter? 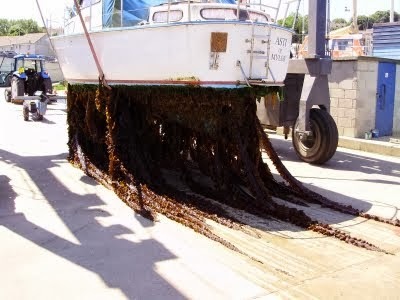 We at Thornham Marina have created a super deal guaranteed to give your bottom a make-over! All you have to do is call 01243 375 335 to receive your discount. If you fancy giving your bottom a lift yourself we can provide the tools - call 01243 375 335 to order yours now! Watch this video, to find out how you can get your bottom looking silky smooth! Last Chance to Claim Your Free Berth In The Beautiful Chichester Harbour! Thornham Marina is offering 1 lucky boat owner the chance to win their berth for the year FREE OF CHARGE! All you have to do is secure your berth by paying a £200 deposit by the 28th of February to be entered in to our free prize draw! 1 lucky winner will be picked at random on the 1st of April 2014! To be in with a chance of winning your berth for the year free of charge, call Courtney or Jeanette now on 01243 375 335! There’s only 1 week left so make sure you get your deposit to Thornham Marina NOW! Call 01243 375 335 today! 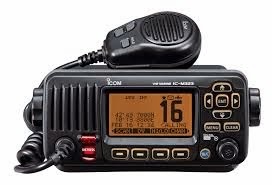 VHF RADIO COURSE - Cancellation Spaces available!! JBT Marine have some last minute spaces that have become available for this course date. To book a place or for more information please call the office today on: 0870 908 9336. N.B: Please note all bookings must be confirmed by Friday 7th February, so as to allow for pre-course study books to be sent out. All JBT Marine Courses are held within one of their onsite training rooms. Convenient parking, full refreshments and training materials are all included within the course fees.